Rapid Hardening Cement: Way to Increase the Construction Speed! Time is the prime essence of any construction project and particularly concrete construction. The delay in completion of a construction project may sometimes increase the overall cost of construction. However, a civil engineer cannot comprise speed with quality of construction. The minimal time needed for placing of concrete and curing of concrete must be proper so that the concrete gains strength and the structure is durable. Due to technological advancements in development of new materials, nowadays, civil engineers are turning towards rapid hardening cement, which helps in increasing the speed of construction without compromising its strength quality. Here we have given brief information on rapid hardening cement, and its advantages over ordinary Portland cement (OPC), which a civil engineer/home builder should know. Rapid hardening cement, which is also known as rapid hardening Portland cement, or high early strength cement is a special type of cement that gains strength rapidly as compared to OPC. Its initial rate of strength gain is high which helps in early removal of formwork, which is a major cost of contributor. Rapid hardening cement is manufactured during dry process of manufacturing cement. It has higher proportion of limestone and shale, which results in early high strength. The limestone and shale are mixed at extremely high temperature to make cement clinker. During manufacturing, some amount of gypsum is added. The cement clinkers are finely grinded in order to promote the rapid hydration. It has high proportion of tricalcium silicate (C3S) which boosts up the strength gain, in early stages. As its name indicates, rapid hardening cement has high early strength, which helps in early removal of formwork. Its strength at 3 days is same as the strength of OPC at 7 days. In some construction projects, this helps in increasing the speed of construction. 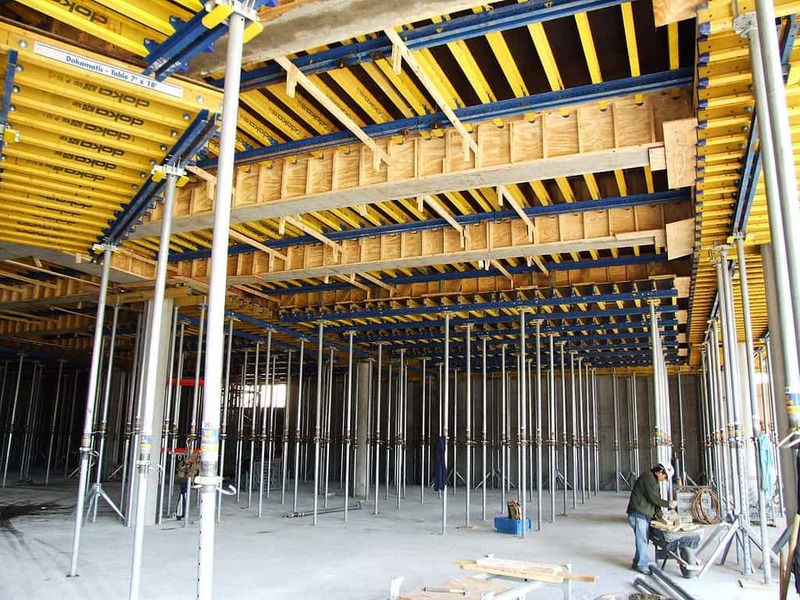 Due to early removal of formwork, the formwork can be utilized in the further construction process, and hence they are needed in less quantity, which help in reducing the overall cost of construction, apart from interest on finance. Rapid hardening Portland cement requires less amount of water during curing. There is less probability of formation of shrinkage cracks during curing. Its final strength is a bit higher than OPC. High early strength cement has good resistance towards sulphate attacks and hence it helps in preventing the corrosion of steel reinforcement. Hence, overall durability of the structure increases. It is expensive as compared to ordinary Portland cement. Rapid hardening cement must be stored in dry areas, which are free from moisture; otherwise, the cement would start hardening even before its use. It emits more heat during setting and hence cannot be used in mass concreting work like dams, raft, foundations etc. Rapid hardening cement is popularly used in construction projects where it is inevitable to remove formwork as early as possible in order to use it again in the further stages. It has application in the construction projects, where high early strength is required, and there is time constraint. High early strength is used to manufacture concrete products such as electric posts, fences, poles, etc., so that the moulds can be released quickly. 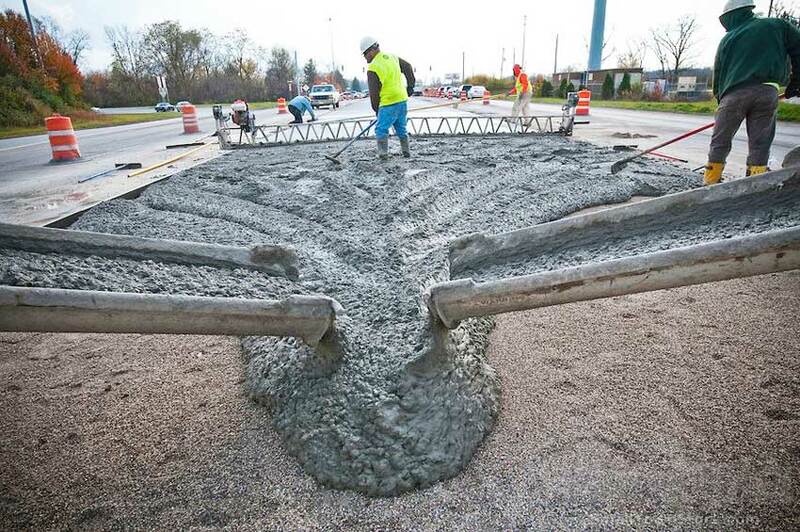 It is also used in construction of roadways where traffic has to be opened immediately. It also has application in cold weather concreting as it has high resistance towards freezing and thawing. It is also used in under water construction or in foundation where water table is high, so that concrete set fast. It is also used in machine foundation where the machine needs to be put in use immediately to meet production deadlines. Although rapid hardening cement is expensive, it can help in saving the cost of formwork and helps in increasing the durability of the structure by protecting the reinforcement against sulphate attacks. In this modern era where everyone wants the project to be completed in very limited time, the use of rapid hardening cement in the construction industry is increasing. Previous PostPrevious Mural or Photo Wallpaper to Create Unique Designs in the House! Next PostNext Low Heat Cement: Less Susceptible to Cracks!